Wait a second, this is a movie and gaming site…so why am I writing an “In Memorandum” for a wrestler, plus there is also the fact I really dislike wrestling too. Well the reason I’m taking time to remember a sadly recently lost wrestler on my movie and gaming site…when I do not like wrestling anyway is because Roddy Piper starred in one of my favourite films of the 80s and even featured in a game I had great fun with a couple years ago. The film I’m talking of is John Carpenter’s They Live and the game he also featured in was Saint’s Row IV, which borrowed from They Live. Born Roderick George Toombs on April 17, 1954. 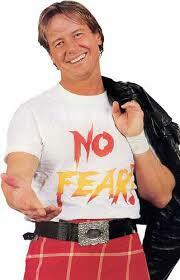 While I’ll acknowledge Roddy was a popular wrestler, as I’ve said, I don’t like wrestling. So I’ll not be talking about his wrestling career here and just his performance in They Live and the Saint’s Row IV references. John Carpenter’s They Live is an often overlooked classic. Using social satire and our love for consumerism as it’s backdrop. But throwing in aliens disguised as humans to give it a Sci-Fi edge. 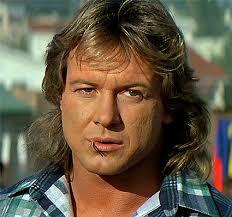 Roddy Piper played Nada. A simple and unassuming man just looking for a job, who accidentally stumbles on the disguised aliens via some sunglasses…don’t question it, just enjoy it. While Roddy’s acting would never win him any Oscars, his performance in They Live was very convincing and he played the part really well. He was believable as a gentile giant showing a softer side when needed but then there were the fights and action scenes where he also stood out. One can not talk about Roddy Piper and They Live without mentioning the awesome back alley brawl he has with his co-star, Keith David. Seriously, this fight scene is one of my all time favourite fight scenes ever on film. Roddy also got to show off his acting chops in other films such as; Tough and Deadly, Marked Man, Last to Surrender and many other films as well as several TV show appearances like; Zorro, Superboy, Highlander and many more. 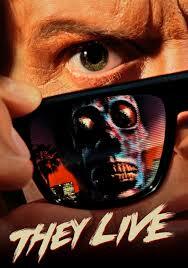 But it’ll always be They Live that I’ll remember Roddy Piper for. 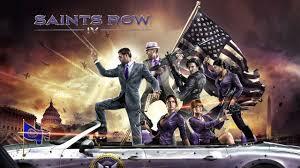 So let’s also talk about his work on Saint’s Row IV. 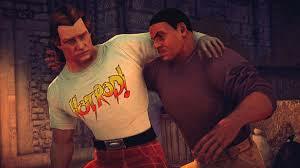 Roddy played himself in this game and he was reunited with his They Live co-star, Keith David, who also played himself as well as playing Saint’s Row founder, Julius. Saint’s Row IV showed its love for John Carpenter’s They Live too with its many in-jokes and references. Like having both Roddy and Keith in your crew would spark off conversations between the two actors where they would talk about the infamous fight scene in They Live and argue over who won. Plus there was a mission in Saint’s Row IV called “He Lives”, where you had to destroy an alien transmission device placed on top of a building…which is what Roddy Piper does in They Live. Then there was the recreation of that fight in the game too. I recall the huge smile on my face when I first played Saint’s Row IV and Roddy appeared, realising Keith David was also in the game all while the game itself had a very They Live vibe to it anyway. I was more than happy the game made references to the overlooked They Live and gave Roddy Piper some of the limelight too. I may not have been a fan of Roddy as a wrestler, but I sure did enjoy him as an actor. Piper died in his sleep after a heart attack on July 31, 2015. He was 61. This entry was posted in LBoG: In Memorandum, LBoM: In Memorandum and tagged John Carpenter, LBoG: In Memorandum, LBoM: In Memorandum, Little bits of gaming, little bits of movies, Roddy Piper, Saint's Row IV, They Live on 03/08/2015 by Steve Perrin. What a sad day for gaming. Satoru Iwata was the fourth President and CEO of Nintendo. 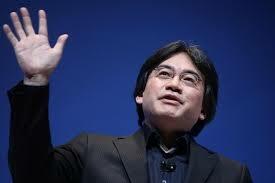 Iwata was born in December, 1959 and raised in Sapporo, Japan. He indulged in his passion for game programming very early on in his life when he self taught and produced simple electronic games at his home during his high school years. The several simple games that Iwata produced were made via the use of an electronic calculator and he would share these games with his schoolmates, watching his friends enjoying playing these games pushed Satoru into pursuing a career as a game developer/producer. After finishing high school, Iwata was attended to the Tokyo Institute of Technology, where he majored in computer science. While at the school he also did freelance work as a programmer for HAL Laboratory Inc., a game developer that often collaborated closely with Nintendo several times. Satoru Iwata eventually joined HAL fulltime where he helped to develop the games; Balloon Fight, EarthBound, and the Kirby franchise. Iwata was eventually promoted to president of HAL in 1993. Although not part of Nintendo at the time, Iwata assisted in the development of the Pokémon series. 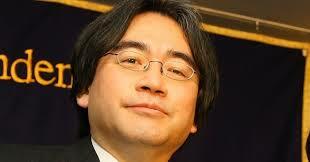 Then in 2000, Iwata took a position at Nintendo as the head of its corporate planning division. 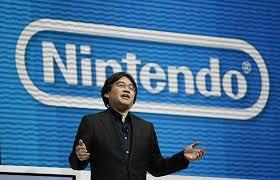 Satoru became the first Nintendo president who was unrelated to the Yamauchi family through blood or marriage in 2002. Iwata’s promotion was not an easy path for him to take on. At the time, Nintendo was not performing as well as their competitors, with Nintendo’s latest hardware release, the GameCube under performing compared to Sony’s PlayStation 2 and Microsoft’s Xbox. During this time, Nintendo’s profits took a huge dive and in response, Iwata took a pay cut and ordered several of Nintendo’s executives to do the same. However, under his charge at Nintendo, Iwata helped to lead a revitalization of their handheld system with the Nintendo DS. He also strenuously pushed on the development of the Wii platform which introduced the use of motion control-based video games. Both the Nintendo DS and Wii proved highly successful to the company, and helped to nearly double the stock price of Nintendo. 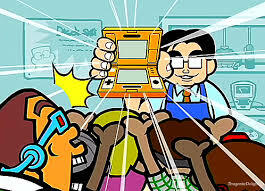 Iwata also worked on The Legend of Zelda, Mario, and the Animal Crossing franchise for Nintendo and even He also appeared in a cameo role in WarioWare: Smooth Moves, where he is referred to as “Shop Manager Iwata”. Satoru Iwata was diagnosed with cancer of the bile duct, yet he continued to work and was even one of the main people behind Nintendo getting into mobile gaming. In 2014, Nintendo announced that Iwata would not be present at E3 2014 due to medical-related reasons. On July 12, 2015, Nintendo announced that Iwata died on July 11th at the age of 55 due to complications with a bile duct growth. Satoru Iwata leaves behind one of the strongest, most memorable and loved careers in gaming. This entry was posted in LBoG: In Memorandum and tagged HAL Laboratory Inc., Kirby, LBoG: In Memorandum, Little bits of gaming, Nintendo, Satoru Iwata on 13/07/2015 by Steve Perrin.